Mary Kaye brings over 20 years of expertise in helping her clients navigate through the various complexities associated with government programs. Mary Kaye has worked with dozens of the nation’s leading health plans to help them optimize their effectiveness in their sales channel, agent experience and marketing while keeping them compliant. Mary Kaye has also served on executive leadership teams on an interim basis for organizations either new to the market or transitioning their leadership team. Mary Kaye’s career has provided her with the opportunity to develop her knowledge in a number of key areas. 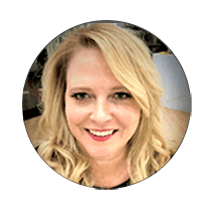 Her expertise includes strategic planning, execution of successful marketing initiatives and implementation of best marketing practices to generate growth and maximize her client’s return on investment. Mary Kaye has assisted her clients with marketing analysis, marketing and sales plan development and operational assessments of the marketing, marketing compliance and sales areas. She is recognized for her decisive leadership and her ability to overcome challenges to exceed expectations in a timely manner within a highly competitive and rapidly changing marketplace. In addition to her sales and marketing expertise, Mary Kaye has assisted plans to ensure compliance with the Center for Medicare and Medicaid (CMS) regulations. She has prepared health plans for CMS audits, developed corrective action responses for CMS, and conducted training on Medicare rules and requirements. Mary Kaye has also presented at numerous industry conferences and webinars on topics including agent compliance, marketing strategy and compliance oversight. Some of her past achievements include conducting sales and marketing operational assessments, sales strategies, direct response creative trainings, interim management and marketing material development and audits.